UK phone specialist Carphone Warehouse has a similar “Your Next Galaxy” holding page in place to the one we’ve seen over at Vodafone, letting its users register their interest in whatever Samsung’s new Galaxy phone ends up being called when it’s ready for us to buy. 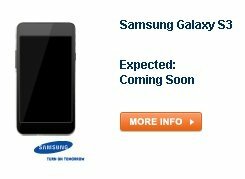 …although we doubt that’s actually a picture of Samsung’s new Galaxy. That’s probably just the creation of the man who’s in charge of updating the Carphone web site. We’ll see. Soon.